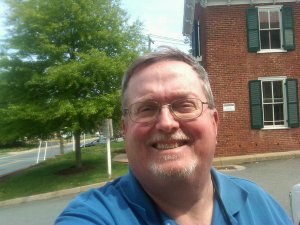 Doug Ehman is Parks Division Manager for the City of Charlottesville. He directs park and trail land acquisition, planning, construction, renovation, and operation for the city. This includes managing mowing in the rights of way, planting and maintaining the flower beds and mall pots, trimming plants, maintaining public trees, shoveling snow, and supporting special events. ↑ Web. Parks & Trails: Staff & Offices, City of Charlottesville, retrieved 1 July 2013. ↑ Web. Doug Ehman, City of Charlottesville, Charlottesville Tomorrow, 5 May 2013, retrieved 1 July 2013. This page was last edited on 1 July 2013, at 16:47.